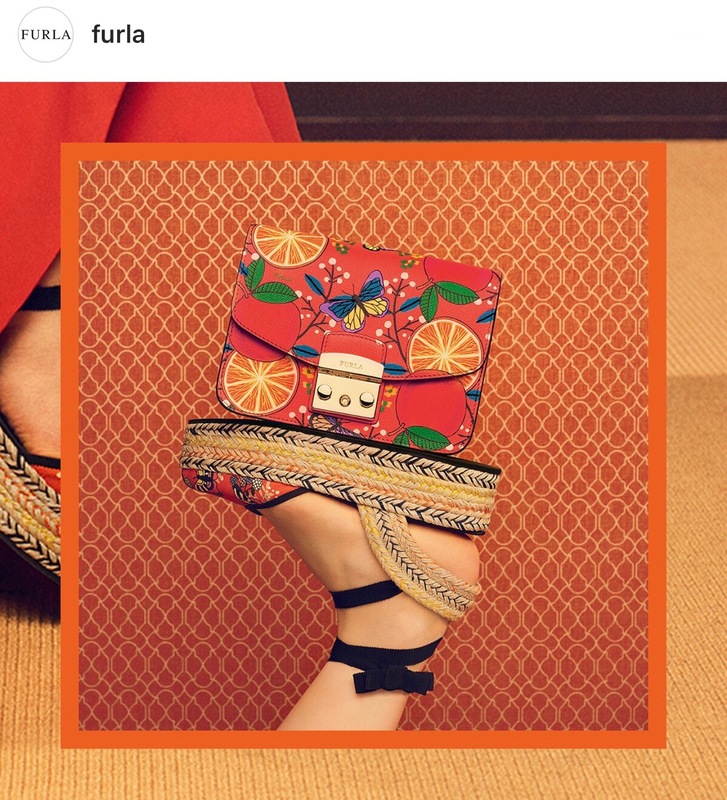 behind the leopard glasses: Furla = fun prints! planting the seeds for my obsession with fashion. 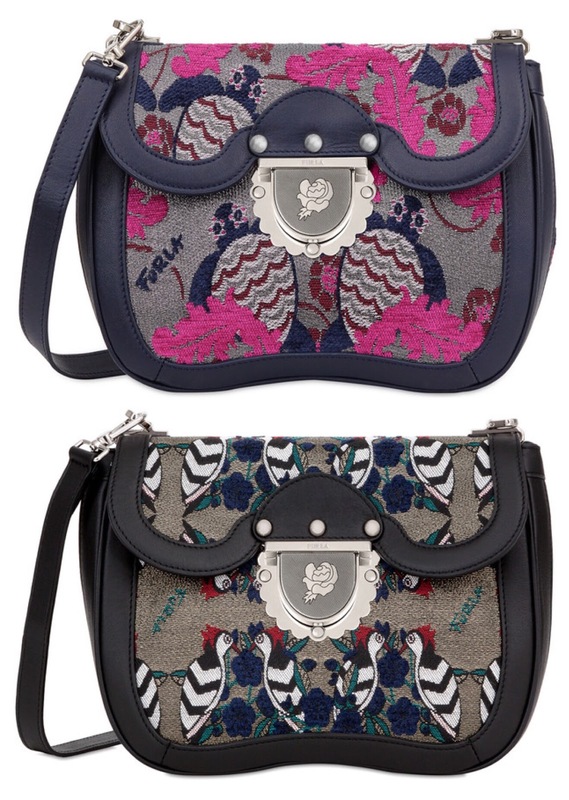 But recently I have noticed how amazing Furla's prints have been! I mean look how cute it is!! 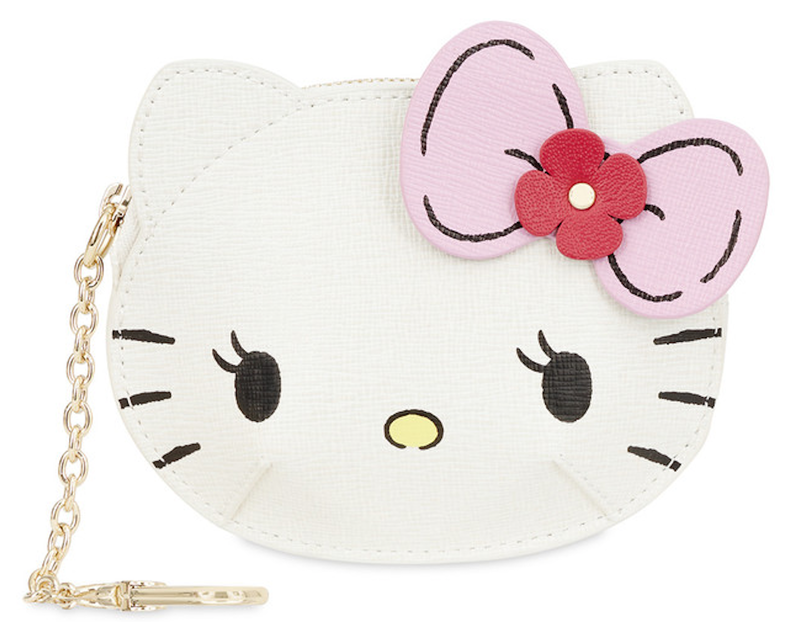 & this Coin Case Toni Petalo is so cute & Hello Kitty perfection! 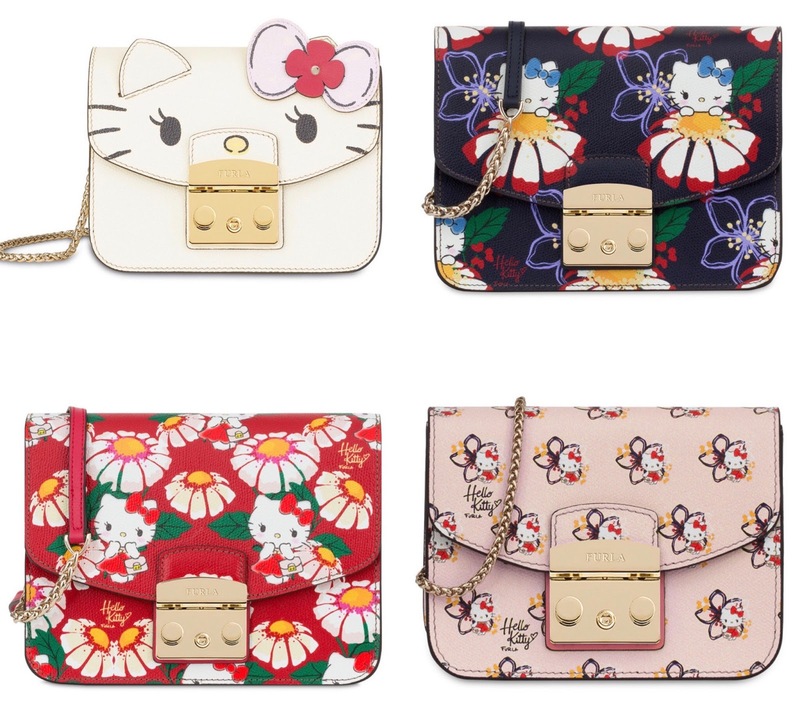 but sad for my Hello Kitty fashion obsessed soul. 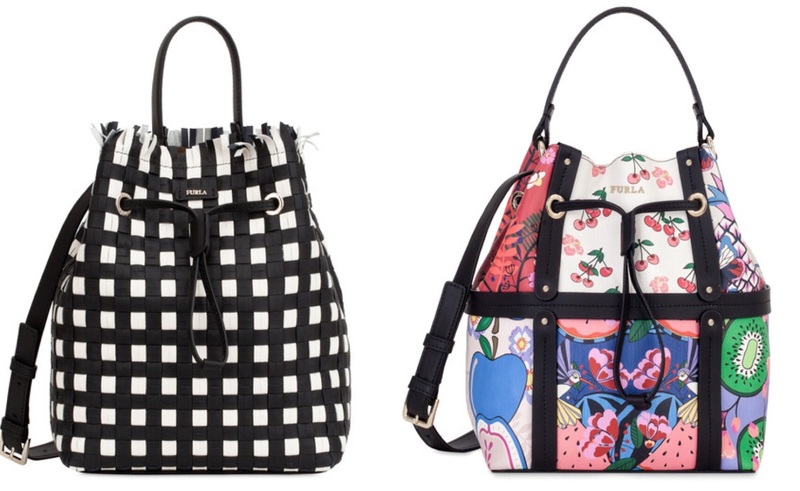 These fruity bucket bags are so fun! 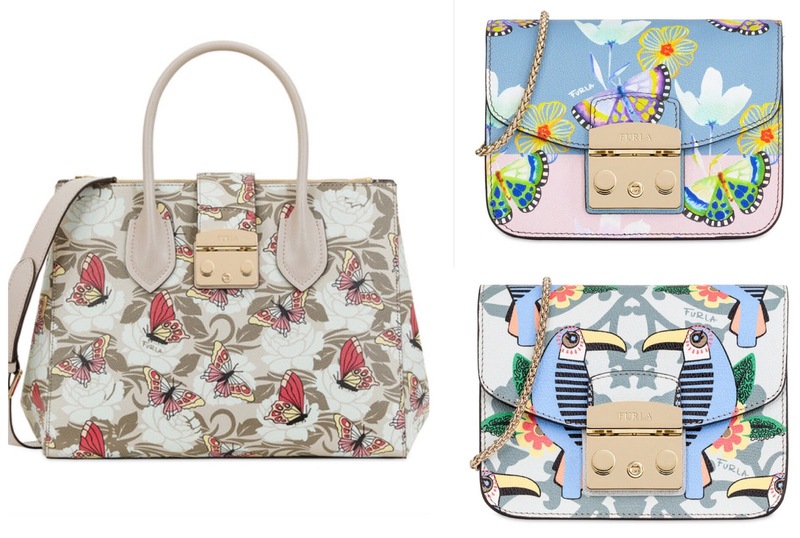 The multicolor one is like the best of all the fun furla patterns in one bag! I am obsessed with these pom pom bags! With the scalloped leather detail and patterns, they are perfection! 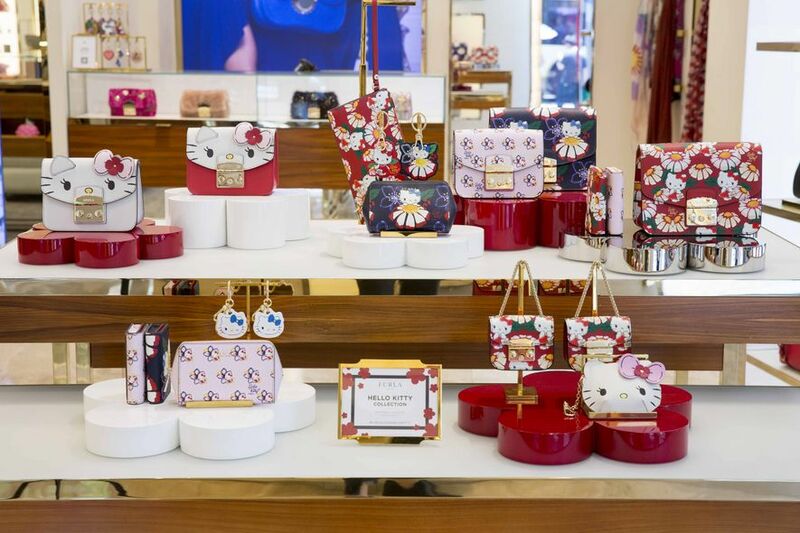 I love that Furla has customizable bags too! So fun especially for designer bags!